Now that there is such a large variety of birth control options available to women, it can be hard to decide which contraceptive is right for you. Women who are considering the Mirena coil as their chosen method of birth control may wonder what the pros and cons are, and if Mirena is truly the best option for them. Let's take a look! You are looking for a long-term contraceptive that is effective in multiple ways. One benefit of Mirena is that you can basically forget about it after placement. If you have suffered from heavy periods in the past, or currently. The Mirena system was found to reduce heavy periods in most women. If you are not opposed to hormonal birth control, or have had bad experiences with it in the past. 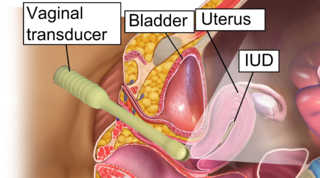 You have large uterine fibroids. The device can be expelled from your body. You are planning to start trying to conceive relatively soon. Unlike methods like the birth control pill, the Mirena requires a separate removal procedure that may not appeal to you if you are only looking for short-term contraception. If you have had an ectopic pregnancy before, discuss your situation with your doctor before deciding on a Mirena coil. You are prone to experiencing side effects from hormonal birth control methods.